Get your kid active all summer long! 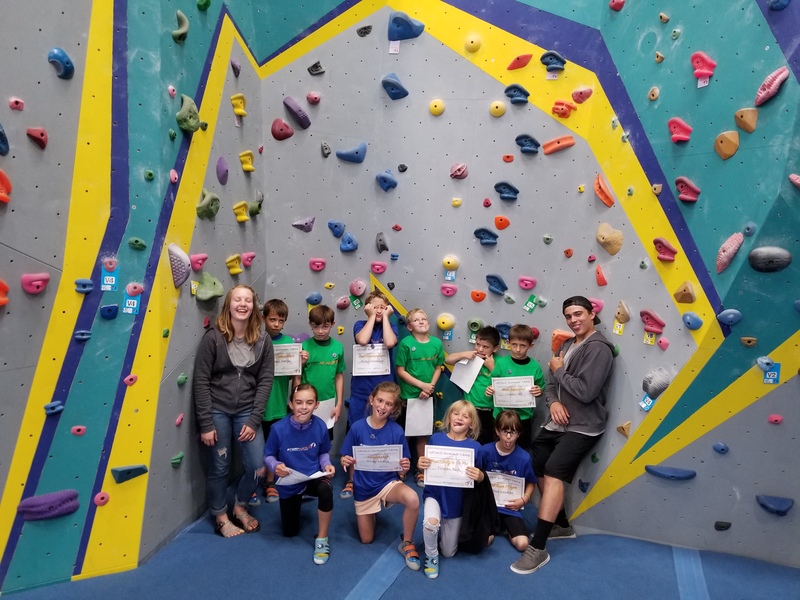 At STEEPWORLD Climbing & Fitness, our experienced camp counselors will engage the campers in a variety of activities that will challenge your child’s limits and increase their self confidence. STEEPWORLD Summer Camps will take your kids on a mountain top adventure and provide an awesome opportunity for campers to build new relationships, reach collective goals, and climb to new heights! Our camps are designed for ages 6-16 for all skill levels with no previous climbing experience needed. Pricing: $149.00/Session (includes t-shirt)* *Full payment is required at the time of registration. Campers must bring their own lunch in a sack or cooler everyday. A refrigerator is available if needed. It is also recommended that you send your child with a water bottle and at least one healthy snack each day to eat during designated snack time. Campers should come dressed in comfortable clothes appropriate for activity and movement. Campers should not bring any valuable items and should leave unnecessary electronics at home as they can be distracting to your child and other campers experience. Campers are welcome to bring their own helmet (bike helmets work fine) for one activity on the last day of camp. Helmets will be provided as needed. Only a parent, guardian or other authorized individual may pick up and sign out a child. Children will not be allowed to run out to the car or wait outside. A 50% refund will be granted if a registered camper withdraws from a Summer Camp Session within 14 days of the scheduled starting date. For a $20.00 fee, payment may be transferred to a different session date as long as space allows. Session change requests must be made 14 days prior to the starting date of the original session, and may not be scheduled for a session beginning in less than 14 days from the request.